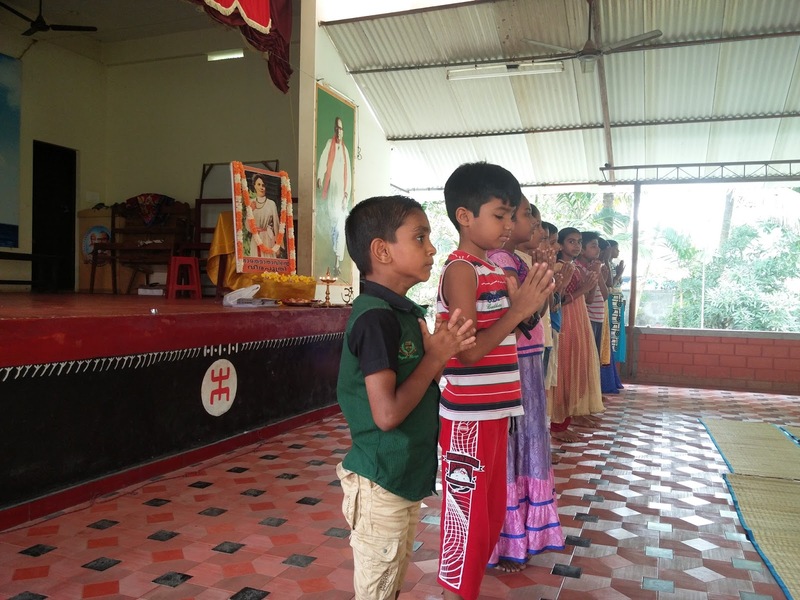 On Sunday morning, Samskar Varga children celebrated Diwali by paying homage to Veermata Nivedita. 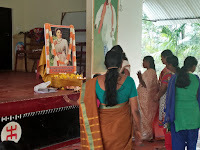 Little Dakshina dressed as Sister Nivedita together with Mananeeya LakshmiDidi, lit the lamp in front of the photo of Sister. 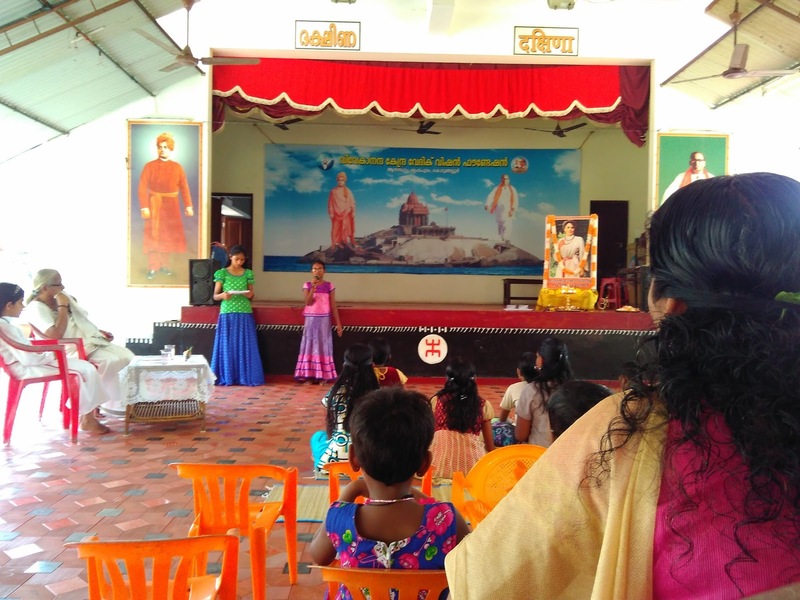 Some parents of the Sandeepani Sishuvihar and the inmates of Anandadham were present as the audience to encourage them.A short speech by Little Sister, chanting of Suktas of Sister and Swamiji, a group song and Surya Namaskar formed part of their programme. 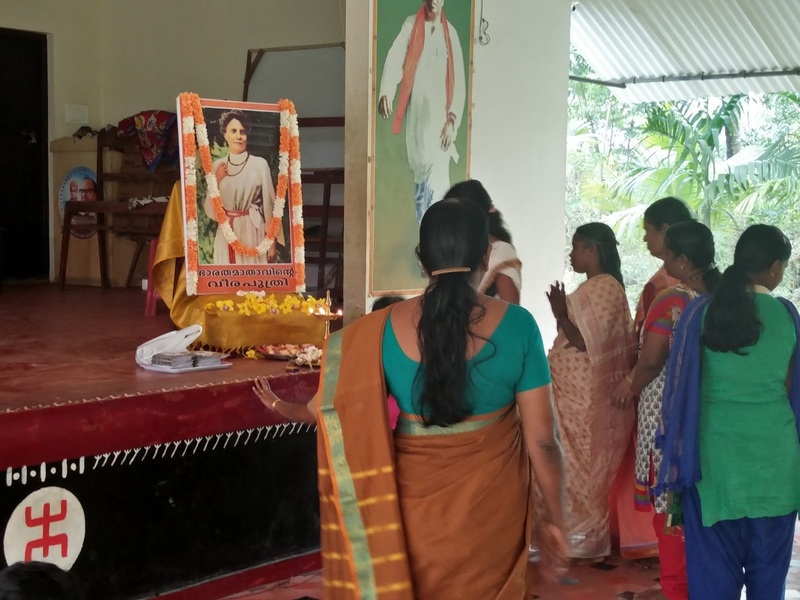 Didi spoke to them on the life and work of Sister Nivedita. At the end, after pushparchana each of them received a booklet on Sister Nivedita as prasad.